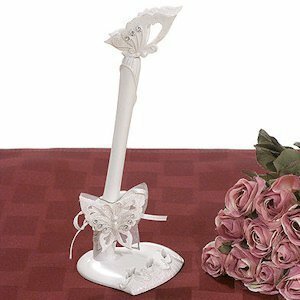 Butterflies have gently landed on this pen set to help set the mood for a memorable event. This is the perfect complement to our Butterfly Guest Book (#CI-414) for any special occasion. 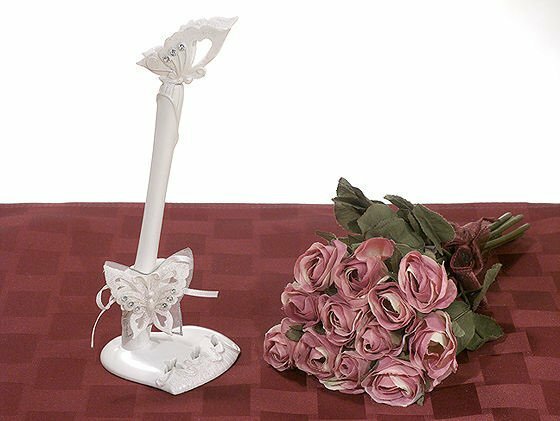 Our delightful pen set is crafted of resin, features butterfly and crystal accents, plus some delicate trim and ribbon. Even the heart-shaped base has decorative cut out shapes to complete the theme. The set stands 8" overall and is packaged in a gift box.